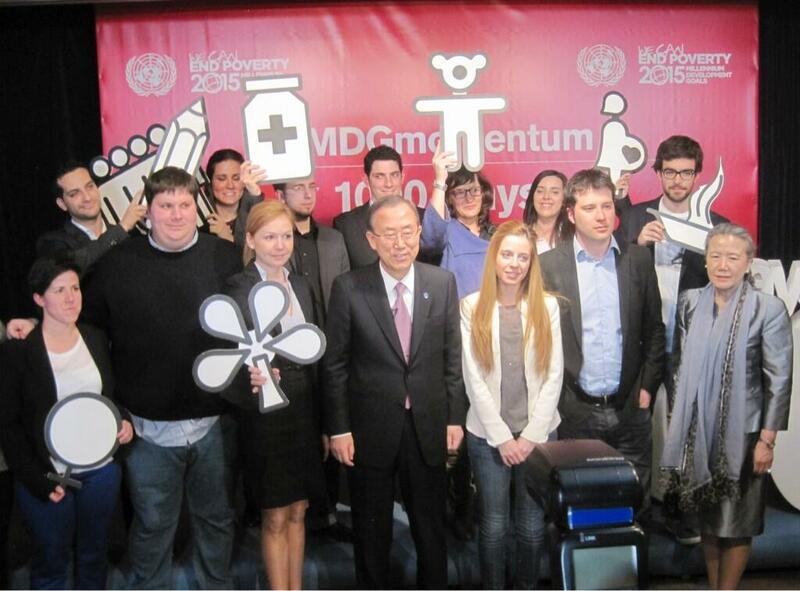 On a recent visit to Spain, United Nations Secretary-General, Ban Ki-moon, met with Spanish youth to mark the 1,000 days of action to the 2015 target date for the Millennium Development Goals (MDGs). Thanks to @UN_Spokesperson for sharing this photo and more on their Twitter account. Pope Francis spoke about ending poverty and food security with United Nations Economic and Social Council President Néstor Osorio at the Vatican on Saturday. See more photos on the Council’s Facebook page. American singer and songwriter, Katy Perry, recently tweeted this photo after visiting Madagascar together with @UNICEF. Thanks to Katy Perry for posting this photo and more on her Twitter account. You can also see more photos on Facebook. “I rescued the textbooks before they raided my school.” See what else this teacher from Gao, Mali, said in a recent interview after her city had been invaded. Thanks to @UNESCO for posting this and more on their website. 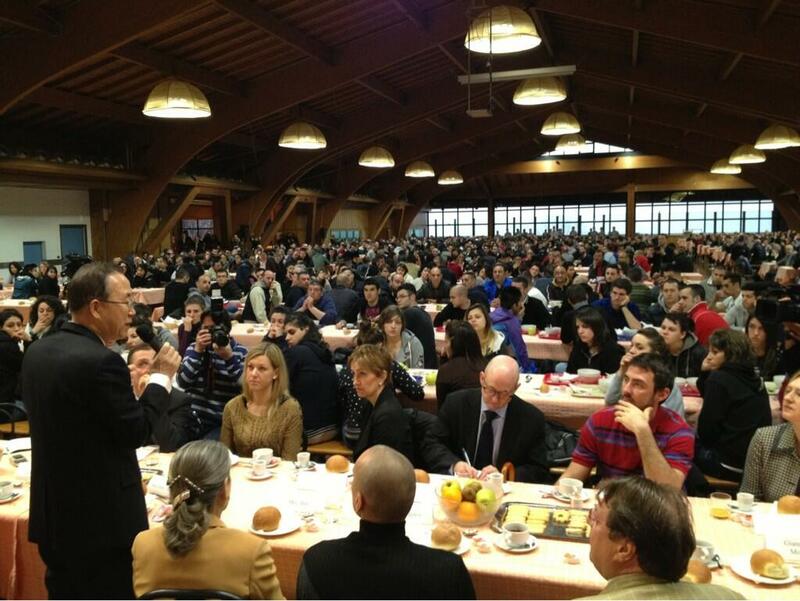 Here’s a photo from Mr. Ban Ki-moon’s recent visit to a drug rehab centre in Italy. Thanks to @UN_Spokesperson for posting this photo and more on their Twitter account. Two years ago, seven UN personnel were killed in a mob attack in Mazar-e-Sharif, Afghanistan. 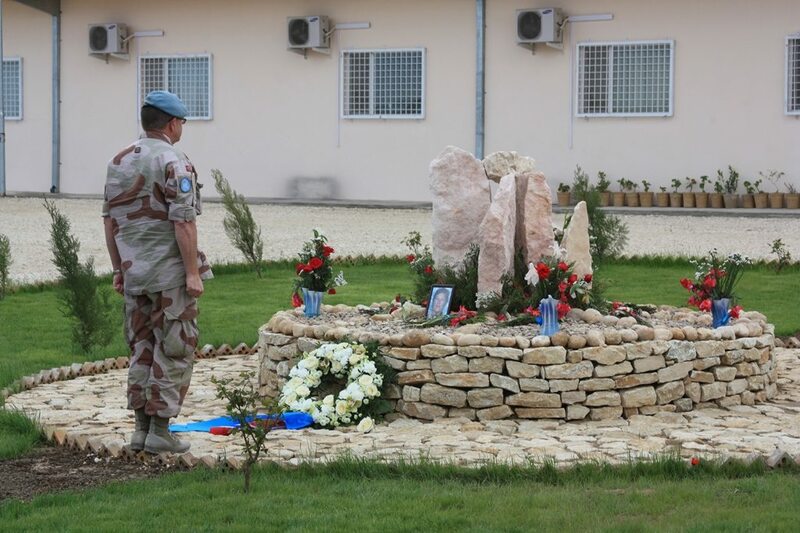 United Nations Assistance Mission in Afghanistan (UNAMA) held a memorial service in early April to remember their colleagues. Thanks to UNAMA for posting this article and more on their website. Our United Nations Information Centre colleagues in Canberra recently posted this video they recorded with students in Australia about creating an inclusive and accessible society for people with disabilities. Thanks to @UNICCanberra for posting this video and more on their YouTube account. Big moving day! Over the course of nearly two years, World Food Programme (WFP) has helped to move over 3,000 pieces of heavy equipment, containers and vehicles for a large UN peacekeeping mission in Sudan. Thanks to WFP for posting this article and more on their website. Taleb Rifai, Secretary-General of United Nations World Tourism Organisation (UNWTO), presents Mr. Ban Ki-moon with this caricature at an event in Madrid earlier this month. Thanks to UNWTO for posting this and more on their Flickr page. Watch actress Halle Berry talking about what it means for her to be involved with the World Food Programme (WFP) in a recent interview on CNN. Find out more about Michael Kors’ and her involvement in the “Watch Hunger Stop” campaign. Thanks to @WFP for posting this video and more. A special UNICEF-chartered flight carrying emergency supplies arrived in Central African Republic in early April. Thanks to UNICEF Africa for posting this photo album and more on their Facebook page. Find out more about the crisis there in this situation update from the UN’s Office for the Coordination for Humanitarian Affairs. Earlier this month, British singer and World Food Programme celebrity ambassador @SamiYusuf sang for children in a Syrian refugee camp. Thanks to @WFP_Students for posting this photo and more on their Twitter account. The United Nations Security Council chamber, a gift from Norway, is getting back to its former glory in time for the reopening later this month. Thanks to the Permanent Mission of Norway to the UN for posting this photo and more on their Twitter account (@NorwayUN).